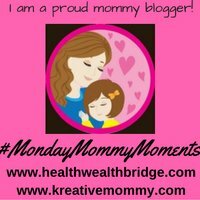 Monday MommyMoments is in week 21.We have come a long way together.In June we have something fantastic planned for you.But right now today I have something to share.Blogchatter is going to have the ebook carnival up soon.I will have my book, Picky Eaters: Guaranteed Hacks to make you Happy up there. I also self-published my book Fruits for Life: Nutrition secrets your doctor won’t tell on KDP select.If you have signed up for my newsletter, then wait for the behind the scenes email, just for my VIP members. I love experimenting and learning new things.Probably that’s why being a mom is so much fun.It’s the biggest adventure and has the best surprises in it.But is it easy?Anything .but that! How can you help new moms?Easy ask her to make a Baby Gift guide and share it with friends and relatives with a polite.This sounds weird, but can actually help, cut down on duplicate gifts, waste of money and 10litre of baby oilI am still trying to use up those baby lotions I keep getting. When we thought about this week’s prompt, we realized new moms have a trying time getting useful gifts. Sometimes a little imagination can go a long way.That’s why we invite you to find the most useful ideas for a Baby Gift guide. The most beautiful part of being a mom / Salute to motherhood or 10 Best mothers day gift ideas.